I believe we have talked about the Selfie obsession in India for a couple of times now. Vivo V5s is an improved version of the Vivo’s first moonlight selfie smartphone with better design and more storage. Vivo V5 which was a milestone product in the history of Vivo smartphones as it marked their focus on cameras along with audio. Launched under ₹20,000 price segment the smartphone faces stiff competition from other brands, but here’s our thoughts on the same. As we know already, the Vivo V5s features a 20MP front-facing camera with moonlight LED flash. On the inside it comes with a Sony sensor with f/2.0 aperture which allows appropriate light to enter the sensor and processes the best results as judged by the operating system. FunTouch OS too has a major role to play here because the digital processing when accompanied with good clicks results in best shots. There is an option to click a group selfie as well with its wide coverage. There is another mode called face beauty which smoothens the skin tones for selfies to look better. One can record videos as well using the front-facing camera which is a plus just in you wish to shoot a selfie video. On the hardware front, it comes powered by a MediaTek MT6750 chipset which has a 1.5GHz Octa-core processor along with 4GB of RAM. To store your selfies, it now comes with 64GB on-board storage which can be further expanded up to 256GB via microSD card. Though it still comes with a hybrid SIM card slot which means either you can have the expandable storage or the secondary dual SIM capability but still 64GB on-board has got you covered. 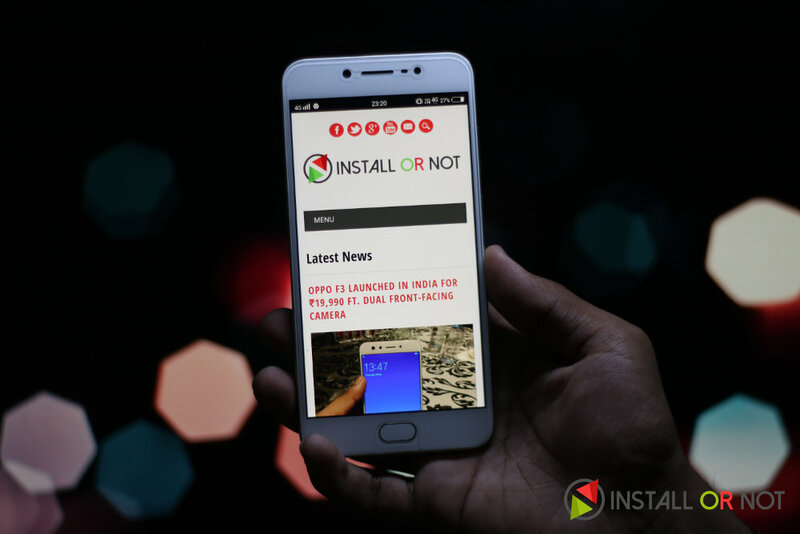 Running on a 3000mAh battery and balanced power consumption by the OS, the smartphones survives a day on moderate usage which is what most of us desire. 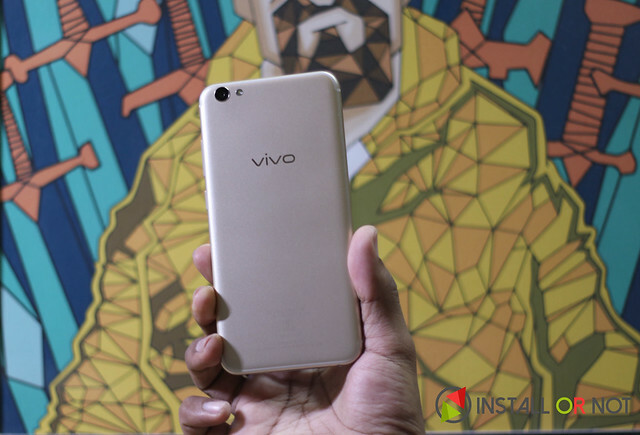 Vivo V5s inherits its design from the previously launched Vivo V5 Plus. Similar to the iPhone 7, antenna lines on the handset runs in U pattern on the top and bottom. With the clean back and sleek build it is very comfortable to hold in hand. The buttons too are quite tactile and easy to press. Overall it looks quite elegant and premium. The handset is available in two color options – Crowne Gold and Matte Black. 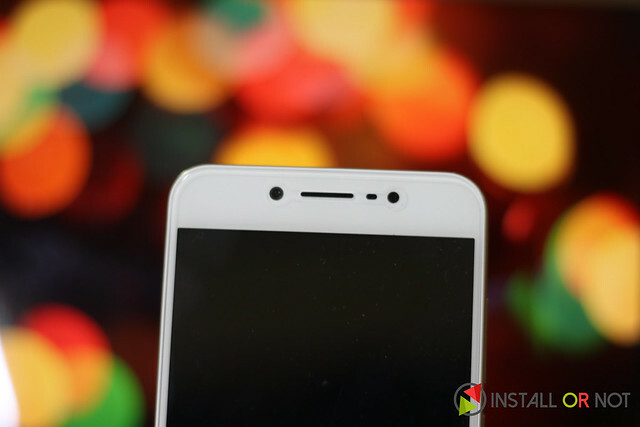 Is Vivo V5s the best selfie smartphone? The closest competition to the Vivo V5s is by Gionee A1 and OPPO F3 both of them being marketed as selfie specialists. There is nothing much to differ between the three because all of them comes with almost similar specification set. One can choose between these three on the basis of price and design and our favourite turns out to be the Vivo V5s. We totally admire the design on the V5s. It’s sleek with a clean build and the matte black looks awesome. Vivo V5s is available for ₹18,990 online and offline which is 1k cheaper than the OPPO F3 but 1k expensive than the Gionee A1. Which one to choose? That would totally depend upon your personal preferences now.